I really wish you all could have been there, it was such a great event, that I am even looking forward to next year! The weather however did not cooperate. It was 1 degree for most of the day and loading and unloading was SO SO cold. I felt so bad for the brides who had to walk from building to building to each presentation. Other than that, I think once they iron out a few kinks, it's going to be great, and a lot more brides will benefit from it. 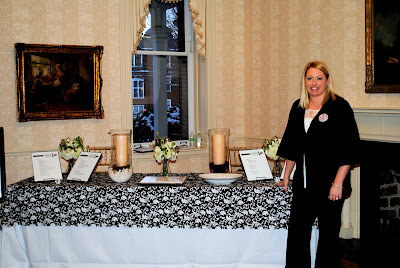 The Bridal Solution gave a total of 6 presentations ... ugh, I pretty much lost my voice once it was all said and done. I was in the Old Historic Building on Stephen's campus, and I actually had a room where my booth was all by itself, it was pretty ideal! 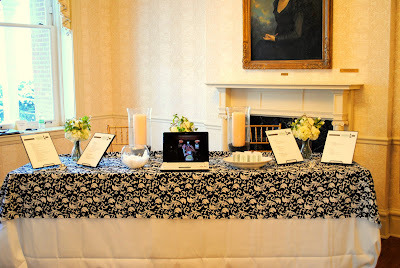 I had a lot of people tell me that they loved my enthusiasm, and they didn't' except to be talking to a wedding coordinator about their wedding. Major plus for me! 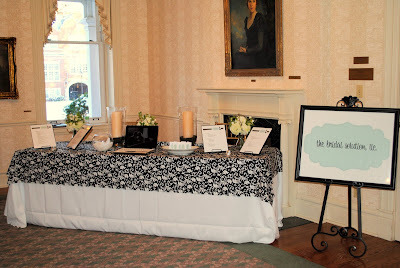 I loved my booth, the brides loved my booth, and overall, it was a great investment! 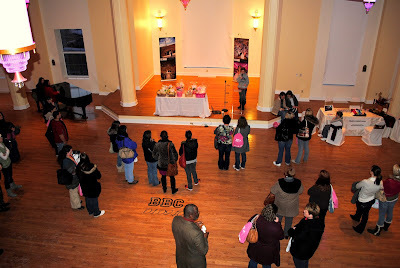 At the end of the day prizes were given away to the brides who stayed ... I am still trying to figure out who won the FREE day-of-coordination. We'll have to wait and see! 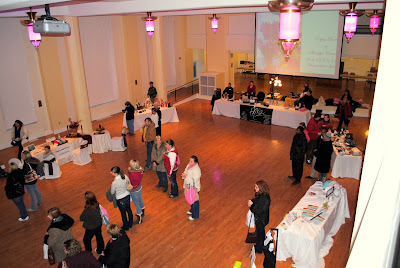 Hope to see all you 2011 brides there next year!